The National Park Service turns 100 in August, but festivities marking the milestone are already underway in parks, historic sites and, yes, airports. 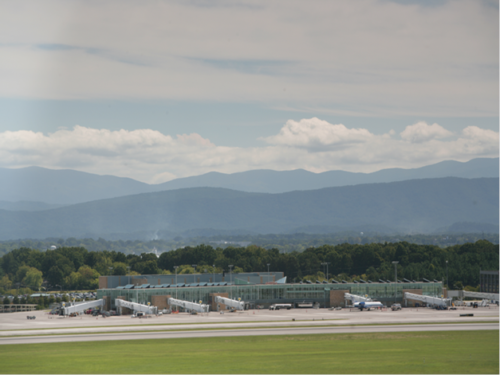 Here – and in my recent At the Airport column on USA TODAY – are some airports where you can begin enjoying and learning about some of the nation’s most impressive national parks as soon as you get off the plane. Forest-themed amenities such a giant sequoia tree in the lobby are the first clue that Fresno Yosemite International Airport is near Yosemite National Park, Sequoia National Park, and Kings Canyon National Park and a good starting point for the Majestic Mountain Loop , which gets you to all three parks in three days. The Great Smoky Mountains National Park, on the border between North Carolina and Tennessee, is just 30 minutes away from McGhee Tyson Airport (TYS) in Knoxville. 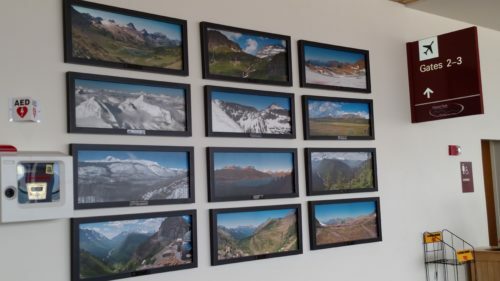 And airport spokesman Jim Evan notes that eight other National Parks and recreation areas are near Knoxville as well and previewed in the baggage claim installation featured in the video below. 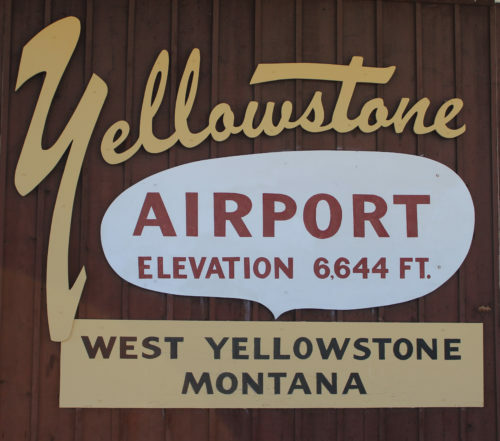 To find the only commercial airport IN a National Park, head for Jackson Hole Airport in Wyoming, which is part of Grand Teton National Park — and one of the gateway airports for Yellowstone National Park. 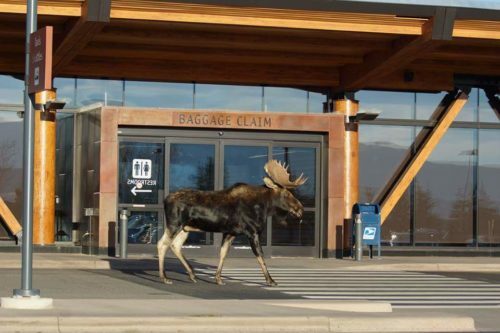 Maybe that’s why last year a moose was spotted hanging around just outside the baggage claim door. In Kalispell, Mont., Glacier Park International Airport (FCA) is less than a 30-minute car ride from the western gate of Glacier National Park and has rock formations along the entrance roadway and roundabout that pay homage to the Going-to-the-Sun Road, the 50-mile, paved two-lane highway that spans the width of the park and crosses the Continental Divide. 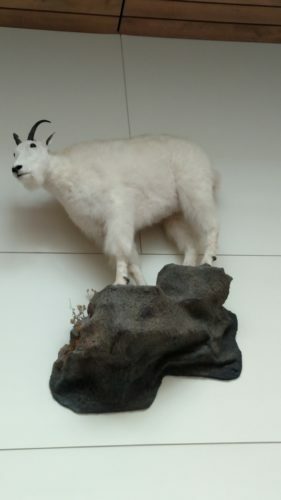 Inside the terminal, there is a 100-photo collection of park images as well as numerous native animal mounts, including a mountain lion that can be spotted over the restrooms and a mountain goat on a ledge in bag claim, “looking just like you’d see him hanging out on a cliff in the park,” says airport manager Cindi Martin. Bozeman Yellowstone International Airport (BZN), in Belgrade, Mont., is about 90 miles from both the north and west entrances of the park. 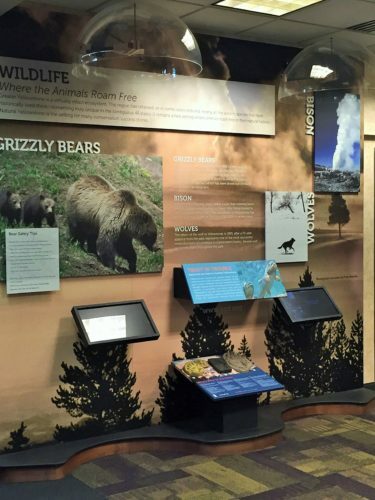 A store inside the terminal sells park entrance passes, provides park information and offers an interactive map showing recent wildlife sightings, road closures and weather in the park. 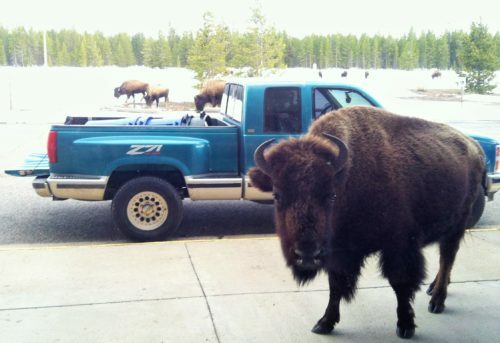 Exhibits in the terminal highlight park wildlife (including how to spot tracks and safely view animals) and the park’s hydrothermal features, which include geysers, fumaroles, hot springs and mud pots. “There’s no more convenient way to get to the park than to come here,” said airport manager Jeff Kadlec. With a smokejumper base on property and an in-terminal restaurant with bison burgers, Rocky Mountain oysters and a very-popular-with-the-locals lobster bisque on the menu, the airport itself is also somewhat of an attraction. So are the airport’s original wooden sign, great mountain views and occasional wildlife visitors. In Las Vegas, McCarran International Airport serves as an aviation gateway to many of the national wonders of the southwest, including Zion National Park and Arches National Park in Utah, and, of course, Grand Canyon National Park. Some of these and other nearby natural wonders are featured in LAS art installations, most notably Peter Lik’s floor-to-ceiling photos in Terminal 3. As part of the current national “Find Your Park” campaign, posters throughout Miami International note the airport’s status as a gateway to Big Cypress Preserve and Biscayne and Everglades national parks. 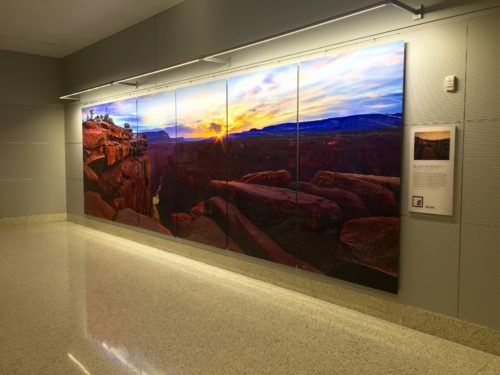 And on July 30, Phoenix Sky Harbor International Airport is kicking off a six-month exhibition in the Terminal 4 Gallery introducing airport visitors to historic and ancient sites, geology and recreational opportunities in Arizona’s 22 national parks and sites. On display will be historic and ancient objects and images from each park’s collection, including Native American pottery and baskets, trade beads, a fossil of petrified wood from a tree over 200 million years old and a Sportyak boat used for a complete traverse of the Grand Canyon in 1963. The Wright Brothers National Memorial in North Carolina is on the list of course (first successful sustained flight of a power aircraft and first dedicated airport for airplanes), as is the Dayton Aviation Heritage National Historical Park in Ohio (first figure 8, first airborne engine restart, first cargo flight, first airborne engine restart and the first — and only — time the Wright Brothers flew together). But also on the list is Grand Canyon National Park (first use of an airplane in search and rescue), Hawaii Volcanoes National Park (first airplane to land in a volcano) and many others. I know I’ve missed some favorites – so feel free to add yours below. Is that a national park in your bathroom?